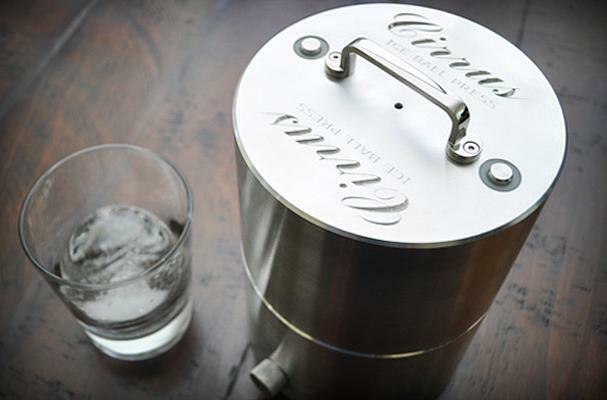 The Cirrus Ice Ball Press might be the best way to chill a drink on the market. Most people rely on cubed ice to make their cocktails cold, but as these cubes melt, they dilute your hooch and alter its taste. This press creates a big round ice ball that minimizes the surface area contacting your beverage, thereby lessening the inevitable dilution. It takes about a minute for the Cirrus Ice Ball Press to turn chunks of ice into 2.75-inch-diameter balls, but this cocktail convenience doesn't come cheap: the press costs $799 plus the cost of optional ice molds.